That’s it folks. The last proper show of 2013 season. Not that we do many proper shows, but this is it for competition runs as I’m going to control myself and keep Dig It Winter Series for training. This is our second indoor KC Show. The last one was at Robaston. Wilmslow was at Myerscough! The day started proper early, mucking out horses at 6.45am before the hour slog up the motorway to Preston! Indoor show are always a little squished and the dogs find it a whole different atmosphere than outside. I noticed that a lot of the rings were on large at the same time so the number of crazy collies inside together increased dramatically! More than once neighbouring rings would both be on large. However I had space, Guinness didn’t get nailed by another dog, he didn’t freak out, and the queues were kept nice and controlled. One thing I’ve so far found at every KC show is that they have great queue control and limit them extremely well! I love it! I opted to run start Guinness as his waits need work and this was not the show to try and sort them out. It was a whole different kettle of fish walking a course knowing you were going to run start. We arrived just too late to walk the first course and I missed walking another later on, so naughty us only walked 2 out of 4 courses. First run of the day, Combine 1-3 Agility, went to pot. No surprise there. He jumped the first jump and headed off to the dog walk which was number 4. Weaves from the tunnel, he missed the entry but got 6 poles nicely second time. We also passed across a box lovely and then I tried to push him out to a far wing wrap after the jump during a rear cross but it didn’t work. Something to do at training! 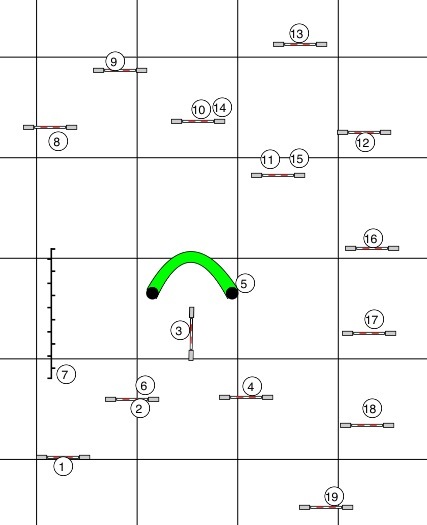 Next up G1-3 Agility with Sarah Stokes. I really like Sarah and I liked her course. The run start worked much better as it was jump to dog walk and I sprinted off as I was racing Guinness to the end. Finally I was running! He did a nice tight jump to seesaw and we were both pushing as he skidded off the seesaw as it hit the floor, into the tunnel, quickly out of the tunnel to 12 weaves and missed the entry. I should have hung back by the tunnel to allow him room to find the entrance but there wasn’t much space anyway. He got the entrance 2nd attempt and 3rd attempt but didn’t complete 12 weaves, only about 8 or 9. Never mind, off we went and I held his A Frame contact and finished on a high. Sarah said we had some of the best contacts she had seen in 1-3 which is mega awesome after Shrewsbury! 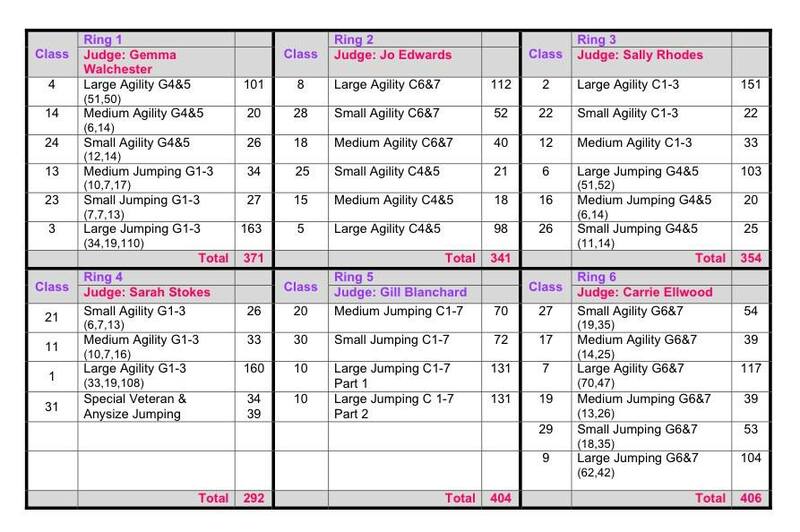 Combined 1-7 Jumping was tricky and I’m going to rethink entering these classes again as I’m not sure if they benefit us at such a beginner level. Run starting a diagonal of 3 jumps was tricky and a difficult entry into the weaves which Guinness got on second attempt, but again wouldn’t complete 12 weaves. We struggled with pushing around the back of the jumps but did some nice rear crosses and the finish section was beautiful! Another mixed run with good and bad points. A little messy but so proud of the nice sections. It was a breath of fresh air being at a show with Lydia and seeing her runs. She had some cracking clears with her collie Red and some great placements. It was also lovely to be there with Ash and Lydia’s fella Nick. Ash was really helpful and supportive and fun to be around. A few times he went to get Guinness out while I got ready or walked a course or queued which worked really well. I enjoyed my show and I liked Myerscough. Indoor venues aren’t the best but I think Guinness is warming to them and it was another valuable show experience for both of us. The cafe looking over the arena is really useful and pleasant to sit in and relax. Although a little expensive! 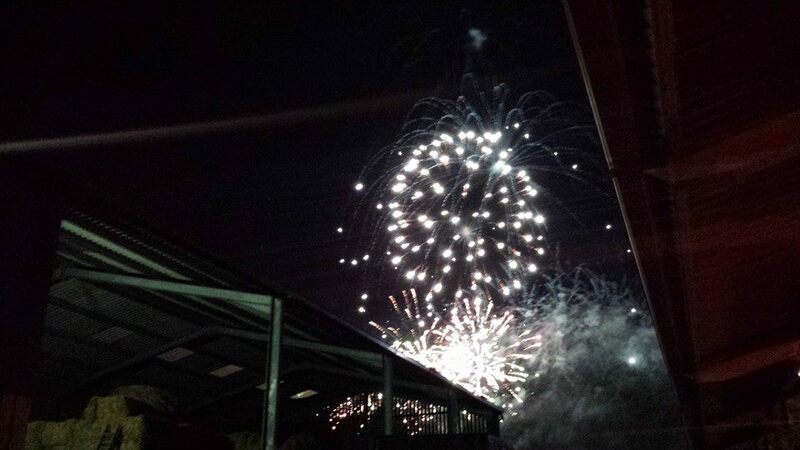 We finished the day back at the stables with fireworks, friends, food and drink. A lovely day!